The Mk V was a major step forward in tank design, providing for the first time a vehicle that could be driven and steered by one man, thus removing the need for two gearsmen. 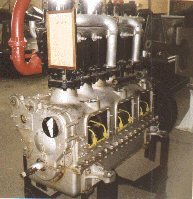 In addition to the Wilson epicyclic gearbox which provided this improvement, a purpose built 150hp engine was designed by the engineer Harry Ricardo, this was thus the first engine specifically designed for a tank. 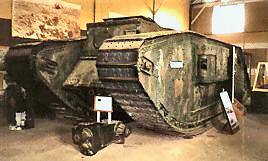 The Mk V was further modified by the addition of a six foot body section to increase the length of the vehicle. This was a modification intended to improve the trench crossing capabilities of the tank, as well as increase stowage capacity. The new vehicle was designated Mk V*, and this trend was confirmed by production of a further modified version, the Mk V**. The Mk V**, unlike the Mk V* never saw action, but was used experimentally after the war. 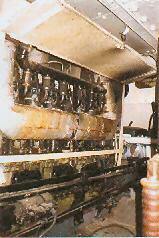 The only surviving example is on display at the Tank Museum, Bovington. 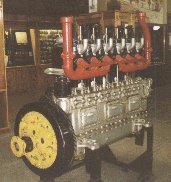 It differs from the MkV* in external details, but, more significantly, by having the engine situated further back towards the centre of the vehicle, thus improving the nose-heaviness of the Mk V*. The vehicle shown is a male, having two short barrelled six pounders as main armament.